Today is the day I revisit an annual tradition started five years ago. Cut files are easier to come by now, but who’s to argue with tradition, right? And it’s also a day when I realize how fast time flies. Congrats to all of you ’16 grads and the parents, teachers and friends that made it possible! Thanks for the graduation file. It’s very cute. This is awesome. Thank you so much Kay. Thanks, Kay! This year, I actually NEED this! Two grandsons, brothers, graduating at the same time! I’d forgotten how early all the hubbub starts! Lol! Thnak you for the Class of 2016 Studio cut file. Its just what I needed. My oldest is class of 2016–indeed cannot believe how time flies! Thank you for this cute file–I will put it to good use! Thanks Kay! Great timing because a couple days ago my neighbor brought her daughter here to see if I could come up with some graduation themed stuff for her high school graduation. This is perfect! Thank you. I appreciate all you do. Always going the extra mile!! Kay, this is such a nice useful file. Thank you so much. Thank you so much! Now I am ready for any graduation cards this year. Thanks for the file, however I am not able to use it with my Cricut Explore. Any advice would be greatly appreciated. Thanks for letting me know, Trisha. I have fixed the problem. Please download again and I apologize for the inconvenience. Thanks I have 2 graduating this year!! I know this is way early but can you go ahead and design the Class of 2017? My daughter wants me to make shirts for her for next year and I want to have that on her Senior shirts. Youngest graduated 2 years ago (sob!) but I can still use this. Thanks again. 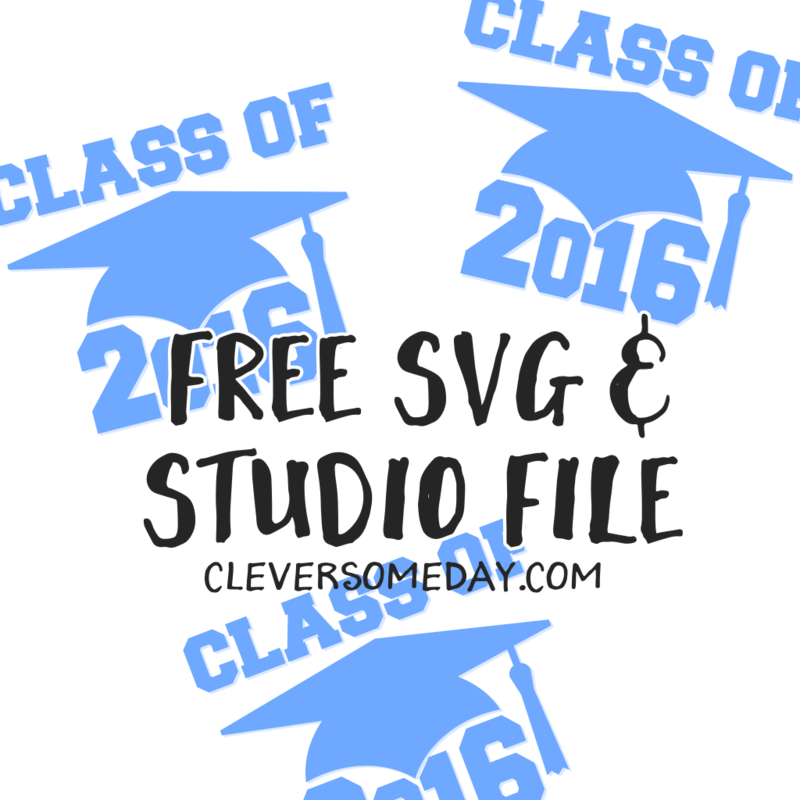 Thanks for the 2016 graduation file! My quadruplets graduate June 15th. Where did the time go to? thanks so much for the free designs you offer for cricket owners that is very nice of you! love the graduation designs.